A warm welcome to all of you! 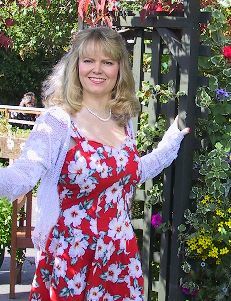 I'm 59 now and this photo was taken in Oct 2011, after a major cookbook project. That's happened again, so as a result, I've got 5lbs to lose, yet again - but if these weren't Low-Carb books, I would have had to deal with at least 30 lbs each time! I’ve been creating recipes and writing cookbooks for almost 25 years now. My first cookbook was a cookbook for diabetic-style desserts and it became a runaway bestseller within six months. My husband re-mortgaged our home to fill our garage with pallets of cookbooks! Fortunately, I didn’t think too deeply about that. Another cookbook followed but left me weightier. Low-carbing helped me lose that weight and keep it off. 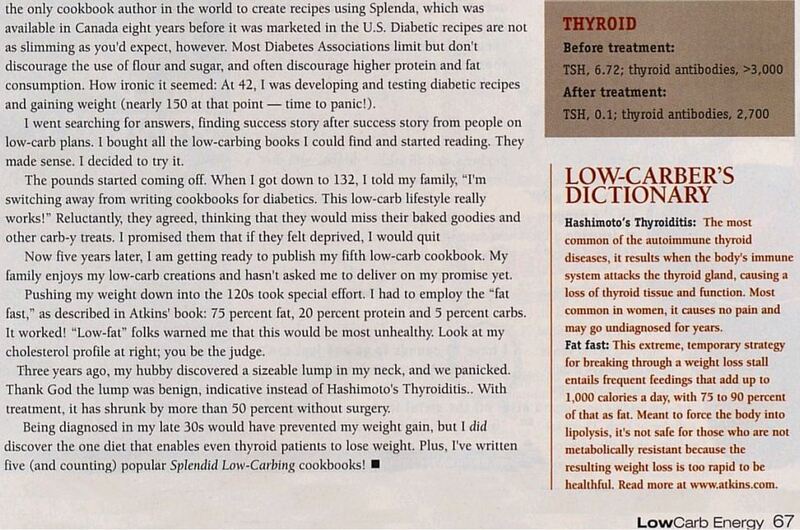 I became even more enthusiastic about low-carb diets after I was diagnosed with Hashimoto’s Thyroiditis (mycoplasma infection). Five Splendid Low-Carbing cookbooks followed in 5 years. After Dr. Atkins died, my enthusiasm waned a bit, and then we moved to the jungles of South America. Here I started my blog and soon had a revelation ... Gluten-free, low-carb recipes seemed to work even better for dieting – it was the missing piece of the diet/health puzzle for us, and for many people, and it was a niche that had not yet been properly addressed. I don’t like deprivation and I take pleasure in helping others avoid deprivation on special (often restrictive) diets. A blog friend recently said, “I made some more of your GF bread this morning. We used your bread for sandwiches while traveling last week. It was so helpful to have something to eat that was GF and better than we could get anywhere else!” Another blog friend said, about her zucchini loaf recipe that she made with my bake mix, “Light, smooth and perfectly tasty! Non-GF persons would not be able to tell the difference between the GF zucchini bread and a loaf made with regular flour...actually...my husband likes the texture of the loaf made with this GF bake mix better than one made with wheat flour!” High praise indeed. Success! Years prior, I noticed that my hubby, Ian, lost weight on a low-carb diet; however, his appetite was still not curbed enough, and he retained water. He was getting plenty of gluten in my low-carb baking and the gluten was a stimulus for his appetite, and it turns out, caused the water-retention – thus his elevated BP. When we went gluten-free, his weight just started dropping off in no time and his BP has almost normalized. He had to halve his BP meds, saving a lot of money (well worth the cost of the special ingredients). Whenever he has any gluten, regardless of his weight, his blood pressure rises quickly again. He’s not alone. There is an awakening underway that many of us do have a sensitivity to gluten. His (and many others’ experiences) with gluten intolerance, show that there’s a tremendous synergy in combining both the gluten-free and low-carb lifestyles. Here is a photo of me, at age 45, when I was finished with "More Splendid Low-Carbing". Keep in mind I have aged 10 years since then, but I think it's important to supply proof that the Low-Carb lifestyle has helped even me, a cookbook author, who would otherwise be very overweight by now, to control my weight over the years. My love of baking and desserts usually comes through, and it does again in this book. I have a wonderful and versatile bake mix, "the Splendid Gluten-Free Bake Mix", that makes my life a lot easier. It may also be used as a substitution in recipes from my other cookbooks. Since this book is about low-carbing among friends, in my section of the book, I’ve included recipes from several very talented friends in the low-carb community, as well. So go ahead and enjoy all of these tasty, healthy foods, while keeping your weight (and that of your family) under control. Some might say I'm just lucky, I've got good genes? Read this story. 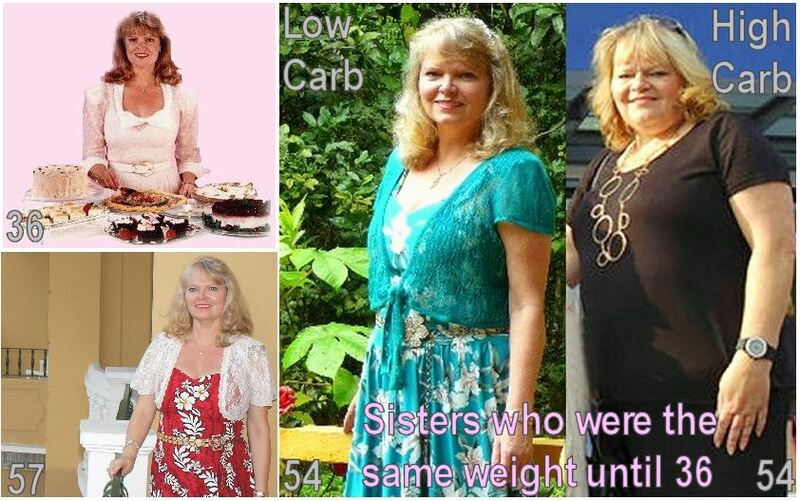 Below is a rather different Low-Carb story -it's important for health too! Low-Carbing is not just about our figures - it's about preventing disease! Most of our team have AWESOME Low-Carb witness stories -George lost 265 lbs and his family lost over 550 lbs collectively! DJ lost 140 lbs and Kent lost 200 lbs! I never allowed my weight to go up more than 25lbs before doing something to fix it -but then it began to be very tough! My story's different, but nonetheless enlightening. 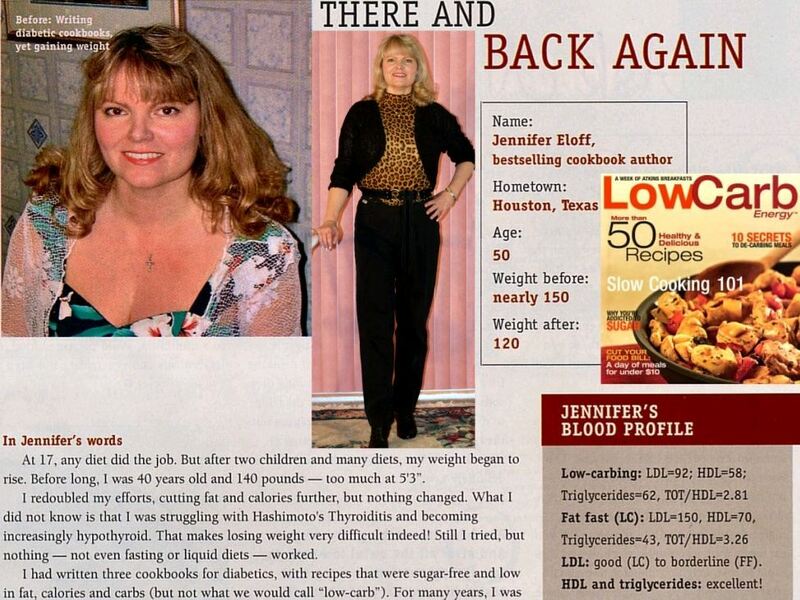 Photos: My 1st Best-seller from '93 (36) below that, me in 2015 (age 57) after 21y of writing diet cookbooks. I'd always wondered what could have happened to me had I not switched to Low-Carbing? My genetic sis & I didn't have a weight problem until our late 30's. She stuck to High-carb/Low-fat. We're comfortable with our bodies and different lifestyles! Though she's addicted to carbs and isn't inclined to change her lifestyle, just to make 100% sure not to embarrass her, we've blocked this page from view in the country where she, family and friends live.